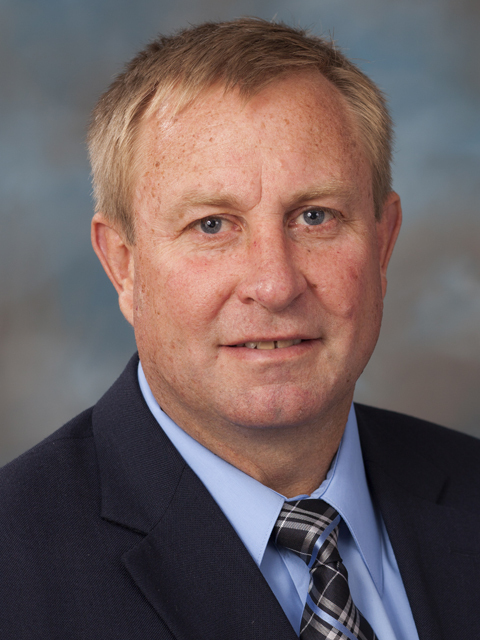 G. Cliff Lamb’s research program is identified by three primary focus areas: beef cattle artificial insemination protocols, applied reproductive technologies for beef cattle operations, and collaborative relationships and research affecting production efficiency in cattle. Lamb’s research programs have emerged as a result of the notoriety he has achieved in the area of estrous synchronization, specifically in publications related to fixed-time artificial insemination (TAI), which has become the standard of the beef cattle industry. His research indicates that, for every cow exposed to a TAI protocol, a cattle producer will gain an additional $49 per cow after weaning. Today, approximately two million cows are exposed to TAI, resulting in a $98 million increase in weaned calf value. Lamb’s work has led to the development of a smartphone application that has been downloaded by over 1,000 people in 38 states and four countries. This app serves as a tool to assist in making reproductive management decisions. In 2013, Lamb was the lead member of an eight-state collaboration that received the USDA-NIFA Partnership Award for Multistate Efforts for the collaborative work in the area of reproductive management of beef cattle. In addition, Lamb coordinates the Florida Bull Test program. Lamb and his team of scientists spend months testing bulls for feed efficiency, as well as testing them for a range of desirable characteristics. This testing culminates in an auction, where producers from all over the Southeast USA are able to competitively purchase bulls of known genetic stock and known performance characteristics. The long-term result of this program will undoubtedly be an increase in the quality of Florida beef cattle herds, well into the future. The impact of Lamb’s research program is three-fold: generating reliable hypothesis-based research with collaborative efforts that enhance the understanding of major physiological interactions; obtaining results that can be used by producers, which improves economic and production standards of beef operations; and increasing the percent of cattle operations that utilize improved management to enhance profitability of their enterprises.